BuzzFeed News has found the troubled Universal Health Services (UHS) psychiatric hospital chain in the U.S. is now under scrutiny in the United Kingdom over allegations similar to those leveled at its behavioral facilities in the U.S. In the U.S., UHS has been plagued by federal and state investigations into potential billing fraud and patient abuse, including sexual abuse and suicides, and has been the subject of thousands of complaints filed by Citizens Commission on Human Rights (CCHR), including to UK authorities in 2015 and 2017. CCHR has questioned how UHS was able to purchase psychiatric hospitals in the UK while under U.S. Department of Justice civil and criminal investigation for possible fraud. On December 15, 2017, BuzzFeed News reporters said the UHS-owned Cygnet Health Care, one of the UK’s biggest chains of private psychiatric hospitals, has been “accused of failing to properly care for vulnerable young patients by their families.” These complaints follow a series of official inspection reports that rated the safety of patients at one of the hospitals as ‘requires improvement,’ and another as ‘inadequate.’” This included one hospital “not taking sufficient precautions to ensure patients’ safety.” These are allegations that CCHR raised with UK authorities during the past two years as potential risks based on what has occurred in the U.S. In light of the recent allegations, CCHR suggests that UK inspections should be extended to also look for potential fraudulent billing. In the UK, BuzzFeed News reported it spoke to the relatives of four young people who are or have been detained under the Mental Health Act at hospitals run by Cygnet, which received more than £100 million (U.S. $134 million) from the country’s National Health Service (NHS) in the 12 months to June 2017. 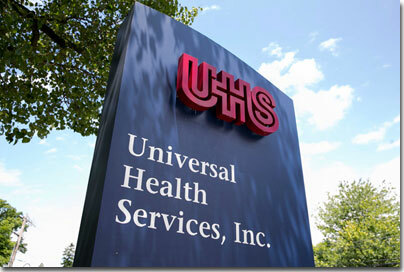 UHS acquired Cygnet Health Care Limited, a psychiatric hospital chain, in 2014. Several families allege their relatives sustained serious injury through self-harm while under Cygnet care. On one occasion a 16-year-old patient placed as many as five metal items in his arm but was not taken to the local hospital for emergency care, his family claim. A doctor with knowledge of Cygnet hospitals has described an environment that is unsafe. A UK inspection report into Cygnet’s Sheffield hospital released in August 2017 also showed that the poor state of the building meant patients had “access to screws in fixtures and fittings, which had led to repeated incidents of self-harm.” Again, there’s the parallel to the U.S. Recently, The Dallas Morning News told of similar concerns at UHS’s Timberlawn psychiatric hospital in Dallas, Texas. Two years ago, the facility was under threat of being shut down over severe safety problems that investigators said put patients in jeopardy. It had failed to ensure doorknobs could not pose a potential “ligature risk,” meaning they could not be used by patients to hang themselves. In failing to act, a 37-year-old then hanged herself from a closet doorknob with a torn bed sheet. The family settled a malpractice suit. Earlier this year two former U.S. Congressmen—Rep. Ronnie Shows (MS) and Rep. Bart Stupak (MI)—wrote about healthcare fraud and the need to eliminate wasteful spending, particularly noting UHS and another for-profit behavioral hospital chain owned by Acadia Healthcare, which also has acquisitions in the UK. Rep Shows pointed out that “when it comes to healthcare fraud, mental health and drug treatment programs are some of the worst actors.” Rep. Stupak encouraged the Centers for Medicare and Medicaid Services to review the Medicare and Medicaid charges made by UHS and Acadia. Similar comments have fueled concerns in the U.S. UHS officials told investors that by reducing staffing costs and keeping occupancy rates high in its behavioral health division, this helped generate robust profits. In December 2016, another BuzzFeed News investigation found internal financial reports where a UHS behavioral facility projected a more than 50 percent profit and while it increased its revenues, it cut its number of staff. CCHR says the underlying problem is the lack of results from psychiatry in general. It has no medical tests to verify any of its diagnoses, it admits it has no cures and, as such, patients are often heavily drugged once admitted to a psychiatric facility and deteriorate from there. Long-term “care” becomes the answer to a mental health system that has failed its users while companies profit from what has essentially been a blank check handed to them. “A Chain Of Private Psychiatric Hospitals Has Been Accused Of Failing Vulnerable Young Patients,” BuzzFeedNews, 15 Dec. 2017, https://www.buzzfeed.com/patricksmith/cygnet-health-care?utm_term=.opeoeXgq2#.bgQMRXKzO. Rosalind Adams, “Federal Investigation into UHS Must Stay Secret, Says Inspector General,” BuzzFeedNews, 22 Dec. 2016, https://www.buzzfeed.com/rosalindadams/federal-investigation-into-uhs-must-stay-secret-says-inspect?utm_term=.ondaX9YQzL#.xwp9kVARPj; “Senator seeks details on UHS investigation from HHS,” Becker’s Hospital Review, 12 Dec. 2016, http://www.beckershospitalreview.com/legal-regulatory-issues/senator-seeks-details-on-uhs-investigation-from-hhs.html. “Sen. Grassley Turns Up The Heat On Nation’s Largest Psychiatric Chain,” BuzzFeedNews, 17 Apr., 2017, https://www.buzzfeed.com/rosalindadams/sen-grassley-calls-for-federal-probe-into-troubled-youth?utm_term=.qeyB6OYenv#.rhWj86yGOY. “Grassley Continues Inquiries into Psychiatric Services Company Amid Reported Problems,” Press Release, 18 Apr. 2017. “Sen. Chuck Grassley Calls For New Probe Into UHS,” BuzzFeed News, 18 Dec. 2017, https://www.buzzfeed.com/rosalindadams/sen-grassley-calls-for-new-probe-into-uhs?utm_term=.moZ1jQgLRR#.bdkRjVGqll. “Universal Health Services, Inc. Completes the Acquisition of Cambian Group PLC’s Adult Services Division,” PR Newswire, 28 Dec. 2016, http://www.prnewswire.com/news-releases/universal-health-services-inc-completes-the-acquisition-of-cambian-group-plcs-adult-services-division-300383892.html. David Behan, Chief Executive of UK Care Quality Commission, letter to Mr. Brian Daniels, Citizens Commission on Human Rights, UK, 29 Jan. 2016. Sue Ambrose, “FATHER OF GIRL, 13, SAYS SHE WAS RAPED AT TIMBERLAWN BY TEEN MALE PATIENT,” Dallas Morning News, 18 Oct. 2017, https://www.dallasnews.com/news/crime/2017/10/13/father-girl-13-says-raped-timberlawn-teenmale-patient. Fmr Congressman Bart Stupak, “Eliminating fraud is key to adequate funding for opioid treatment,” The Hill, 13 July, 2017, http://thehill.com/blogs/pundits-blog/healthcare/341913-eliminating-fraud-is-key-to-adequate-funding-for-opioid. http://uhsbehindcloseddoors.org/about/, citing UHS at RBC Capital Conference, 3/2/11, UHS at J.P. Morgan Conference, 1/15/14, p. 4. Op. cit., “Locked On The Psych Ward: Lock them in….” BuzzFeed News, 7 Dec. 2016. UH Investor Presentation, April 2015.